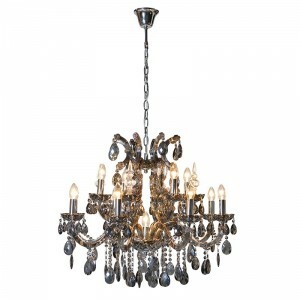 Add to your fabulous interior with this grand glass chandelier. 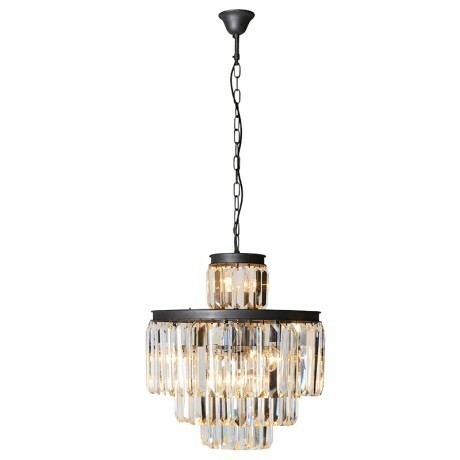 Traditional in design, this chandelier would look fantastic in any room or hallway, exuding and reflecting light off of the glass rods making the light almost seem to glisten in your room. 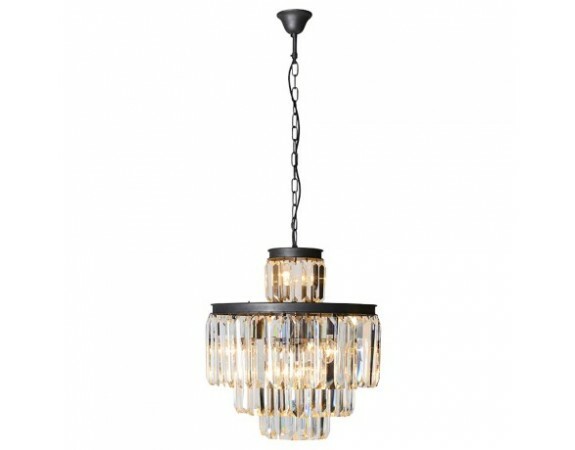 Made from individual cut glass clear rods and tiered at various heights to form this striking chandelier.